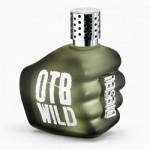 A unique masculine fragrance where classic urban meets untamed nature. Ancient powders are tweaked with a creamy coconut note; the moist moss note stands out as a rugged vŽtiver, earthy and primitive; a characteristically Provencal lavender note, set off by exotic tones of musk. As for the town - citrus fruit, they take their acidic note from the citronella. The traditional foug�re marks the exotic, the domesticated wild child of the city and gives to the wise world of nature, the same heart as the city. Diesel Only The Brave Wild Eau de Toilette is the fragrance of a man who dares to be himself, believing in his instincts and defending the values in which he believes.